Peaceful Cape San Blas, near Apalachicola, has no high-rises, and no crowds – just quiet beaches. Many of the accommodations, which range from small condominium properties to big single-family homes, also welcome pets. Convenient pet waste disposal stations with plastic bags are positioned at all public access points to the beach. Find Cape San Blas vacation rentals and other information about the area. Dogs can run free without a leash at the Bonita Beach Dog Park, a sandy strip located on the outside edge of Lover’s Key State Park. There is no running water, though, so make sure and bring some for your pets. And while pets aren’t allowed in neighboring Lovers Key State Park, it’s well worth a visit. A haven for wildlife and one of the finest coastal nature preserves in the nation, the park also offers hiking and biking trails, a boat ramp, picnic facilities, and a concession featuring kayak tours and rentals for bicycles, canoes, kayaks, paddleboards, beach chairs, and umbrellas. For details about Fort Myers vacation rentals, restaurants, and more, click on our Fort Myers Beach, Florida, links. Leashed dogs are allowed on the public beaches at Dauphin Island, near Gulf Shores, Alabama. The uncrowded, unspoiled beaches of this barrier island are the perfect spots for you, your family, and your pets to enjoy the sugar-white sands and emerald waters of the Gulf of Mexico. Also on Dauphin Island are historic Fort Gaines and Sea Lab Estuarium, an aquarium whose exhibits highlight coastal Alabama habitats. Dogs on a leash are allowed on the beach in the city of Fort Morgan, just outside of Gulf Shores. Boundaries of the dog-friendly beach, which runs parallel with the main road, are the engineer’s wharf and the fishing pier. Also worth a visit if you’re in the area is Fort Morgan itself. The fort, which guards the mouth of Mobile Bay, played a pivotal role in the Civil War. Nature lovers will also want to check out the trails at Bon Secour National Wildlife Refuge, which is off the Fort Morgan road. 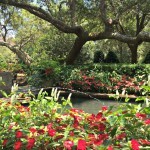 Find Gulf Shores vacation rentals and links to more information about fishing, dining and attractions. Secluded and shady, Anne’s Beach in Islamorada is a great spot to spend the day with your dog. There’s a sandbar that goes out a long distance, which means there’s plenty of shallow water for paddling around with your pooch. Also provided are poop bags and fresh water for pets’ use. Human visitors will appreciate the boardwalk and picnic areas. Visit our Islamorada, Florida, links for more about this Florida Key vacation destination. The Key West Dog Beach, at the end of Alberta Street, is a great place to let your pup have some fun in the sun. And when you finish frolicking on the beach, it’s just a short distance to pet-friendly Louie’s Backyard, where you can sip something cold and dine on Caribbean-American cuisine. For more about Key West, check out our Key West, Florida, links. 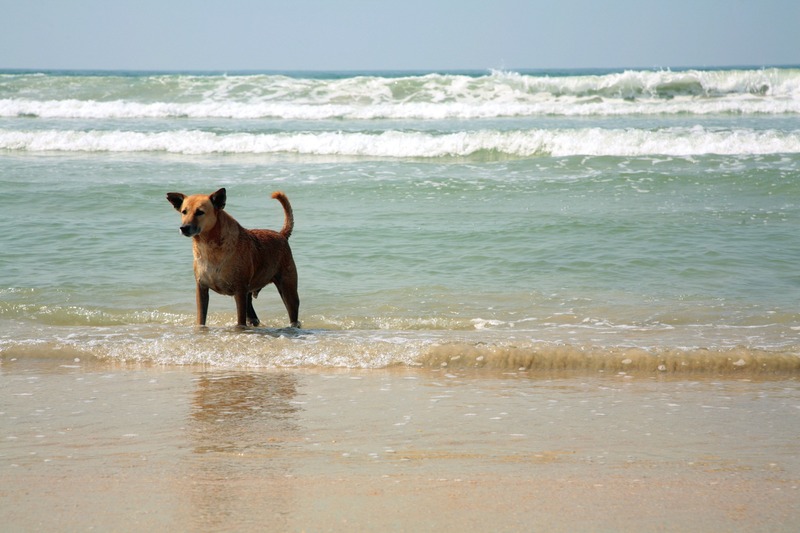 Long a favorite destination for beach-goers, Panama City Beach also welcomes pets. There is a dog beach to the west of Russell Pier, across Front Beach Road from Pier Park. Dogs must be on a leash to stroll the 400-foot beach. Leashed dogs are also welcome in the outdoor areas of Pier Park, and there’s another dog-friendly beach on the Gulf at the foot of Jimmy Buffett’s Margaritaville. In addition to its Gulf beaches, Pensacola offers attractions ranging from pre-Civil War forts to the National Naval Aviation Museum. Pet lovers will find a fenced-in playground for their furry friends at Bayview Park. It’s on a bayou off Pensacola Bay rather than the Gulf, but dogs are allowed to run free, and even swim, in its protected waters. Other pet-friendly areas include the Roger Scott Complex Dog Park, near the airport, and the Shoreline Bark Park. 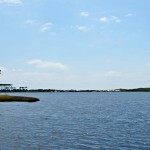 Located across the bay in Gulf Breeze, the bark park includes a special section for smaller dogs. Many Pensacola restaurants also offer pet-friendly outdoor dining areas. Check our our pages to find Pensacola Beach vacation rentals and more about the area, including fishing, attractions and restaurants. h access points for the convenience of pet owners. Many of the island’s stores and restaurants allow pets in their outdoor areas as well. There are also plenty of pet-friendly accommodations available on the island. Visit our links at St. George Island, Florida, for places to stay and other information. 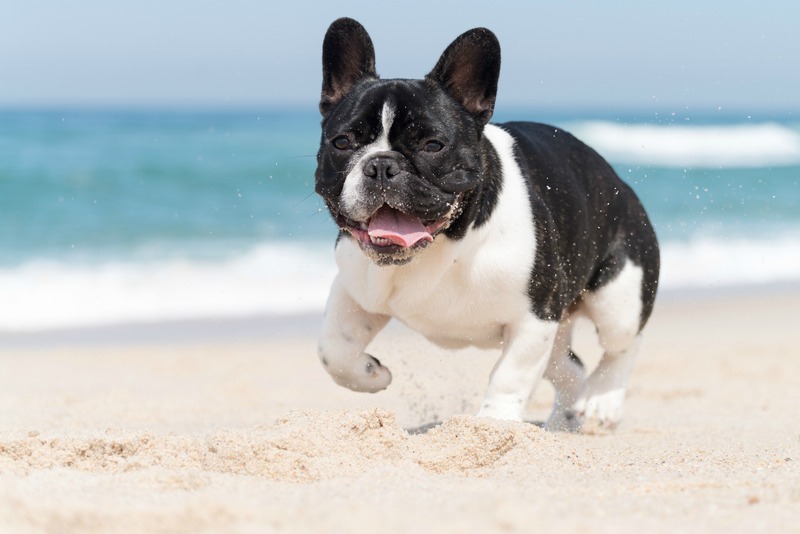 Dogs have their own beach at Fort De Soto, a 1,136-acre county park that includes Paw Playground, named one of the South’s best dog parks by Southern Living magazine. Paw Playground is divided into separate sections for small and large dogs, and they’re free to run off leash in the sun and to paddle around in the Gulf of Mexico. Dog-level water fountains and cooling stations with showers keep pets comfortable in hot weather. Humans will enjoy the amenities at Fort De Soto as well. These include nature trails, food and drink concessions, picnic areas, playgrounds, restrooms, and showers. The facilities are also wheelchair-accessible. There’s another dog beach in the St. Pete area at Honeymoon Island State Park. Pets must be on a six-foot, handheld leash to enjoy the park, which includes an area of clear, shallow water that’s the perfect depth for dog paddling and wading. Leashed dogs may also enjoy the park’s nature trail. Located at the southern tip of Honeymoon Island, the dog beach affords gorgeous views of Caladesi Island and the Gulf of Mexico. Amenities for humans include nature trails, picnic areas, concessions, restrooms, showers, and a children’s playground. For vacation rentals and more information about the area, visit our links at St. Pete Beach, Florida. Pets are welcome on Sanibel beaches as long as they’re leashed. 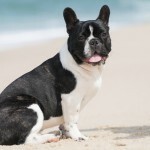 Especially nice for Fido is Gulfside Beach (also known as Algiers Beach), which is located next to a nature preserve. Dogs must be on a leash, and owners must clean up after their pets. There are restrooms and picnic tables for human visitors. There are also plenty of pet-friendly vacation rentals available on Sanibel and neighboring Captiva Island. Many local restaurants welcome pets in their outdoor dining areas as well. Find Sanibel and Captiva vacation rentals, restaurants, fishing, and area attractions. 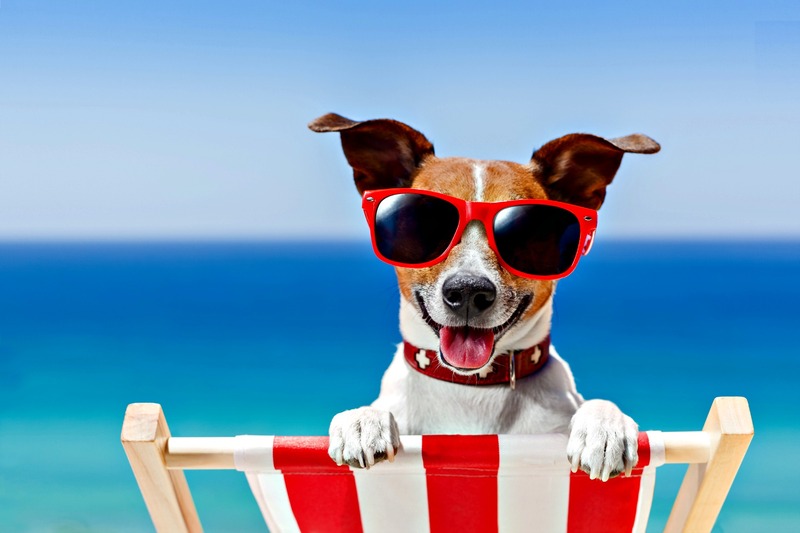 See our Pet-Friendly Beach Vacation Rentals collection on Pinterest. 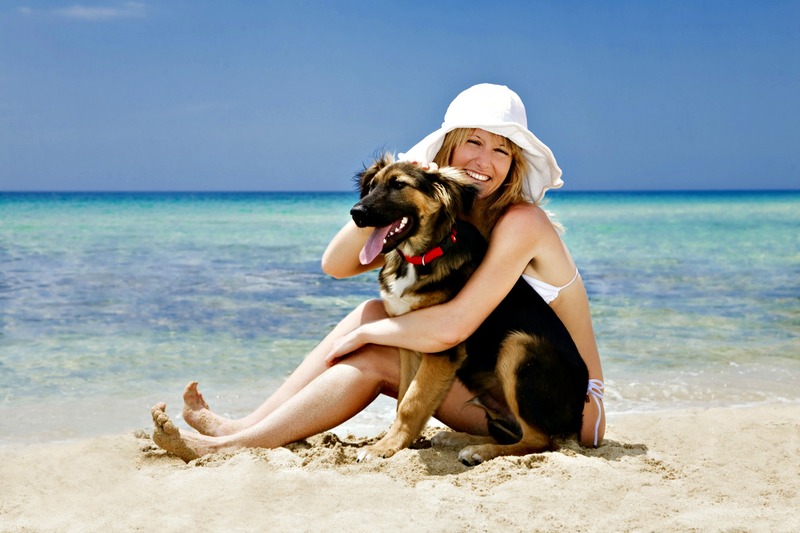 And see our 7 Plan-Ahead Tips for Taking Your Dog to the Beach.